Age-related macular degeneration (AMD) causes you to lose central vision (when you focus straight ahead). The macula is a tiny part of the retina, and as you get older, this can start to deteriorate, affecting your sight. The condition is painless but vision becomes increasingly blurred, leading to difficulties with day-to-day activities, such as reading or recognising faces. This change usually happens gradually, however, the sight loss can be rapid. Your peripheral vision (side vision) is not affected, and while AMD sufferers will not experience complete blindness, it usually affects both eyes. If you find your vision is getting worse, you have blind spots, or images are distorted it’s important to seek medical advice or visit an optometrist immediately. Those suspected of having AMD would then be referred to an ophthalmologist for tests and treatment. AMD is most common in those over the age of 50 and is the leading cause of vision loss. An estimated 1 in 10 over 65 have some level of AMD and the condition affects at least 600,000 people across the United Kingdom. AMD tends to be more common in women, white people and Chinese people – the reasons that are yet unknown. Dry AMD – This develops over many years and occurs when the macula’s cells become damaged by tiny yellow deposits called drusen. This type of AMD is less serious and accounts for 90% of cases. However, roughly 10% of people with dry AMD will go on to develop wet AMD. Wet AMD– also known as neovascular AMD, is more serious. Wet AMD develops when new, abnormally-formed blood vessels grow under the macula. These can leak blood and fluid, damaging the cells, and may cause scarring. This can happen suddenly and, if left untreated, can cause vision to deteriorate in a matter of days. AMD can often go unnoticed as it is a painless condition, and those with dry AMD can take 5-10 years before their vision loss significantly affects day-to-day life. Driving, reading and anything with fine detail can be difficult to see. Colours can be less vibrant. Contrast between objects can appear diminished, making it difficult to distinguish between them. People’s faces can become difficult to recognise. Some can become sensitive to bright lights. Visual distortions - straight lines may appear wavy. Blind spots – these can appear in the middle and become larger the longer they are left. Hallucinations – shapes, people, or animals that aren’t there may appear. Wet AMD needs to be treated as soon as possible to avoid vision getting worse, see below for information on treatment. AMD can significantly affect daily life, which can have both an emotional physical effect on sufferers - there are support groups to help those living with the condition. There are a few other effects it can have on you. An estimated one third of people with AMD suffer from depression & anxiety. Losing part of your vision can be difficult to come to terms, especially when coupled with a loss some of your independence. Such impactful changes in your life can be tough, and if you find yourself struggling with depression or anxiety, speak to your GP to discuss treatment such as therapy. The condition may affect your driving ability – so it is important to alert the proper authorities – such as the DVLA or your insurance company. 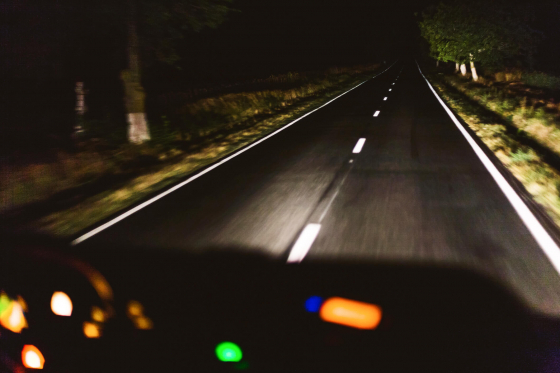 If your vision is still quite strong, you may be able to continue driving, but will need to pass certain tests to ensure it is up to safe standards. For the safety of yourself and other drivers, your central vision especially, must meet the DVLA’s standards. Some sufferers of macular degeneration may experience visual hallucinations. This condition is called Charles Bonnet Syndrome, and an estimated 10% of AMD sufferers will experience it. In the absence of visual stimuli, your brain will create hallucinations using images from your memory, these can include random shapes, patterns, faces, or familiar places. They can last minutes or hours and while they are not necessarily negative images, it can be frightening to experience something that is not really there. It’s important to tell your GP about any visual hallucination, even if you are worried it is a sign of a mental illness. Hallucinations with AMD are usually to do with your vision rather than a problematic mental state, and your GP will likely be able to help you deal with them. Hallucinations can often last for a year or two, but have been known to go on longer in some people. It is currently unknown what exactly causes macular degeneration, which can make it difficult to prevent it from happening. As the name indicates, the condition is very closely linked to age, and whether there’s a family history of AMD. Macular degeneration can sometimes affect younger people, this is quite rare and is called juvenile macular degeneration. The condition is almost always caused by an inherited genetic disorder, and can be present at birth, or develop later. Disorders that can cause MD in younger people are Stargardt's disease (childhood or early adulthood), Best’s disease, or Sorsby’s dystrophy (usually between 30 & 40). There are a few things you can do to help reduce the risk of developing AMD, see the treatment section below for more information. Cornea and Lens are positioned at the front of the eye to focus light coming into the eye, allowing you to form an image on the retina. Retina is at the back of the eye. It is a layer of tissue that senses light and colour, and converts them into electrical signals. Optic Nerve transmits electrical signals from the retina to the brain for interpretation. This lets us understand the information transmitted from the eye. The macula is found at the centre of the retina. It’s the spot where the light rays are focused, allowing you to see objects directly in front of you. 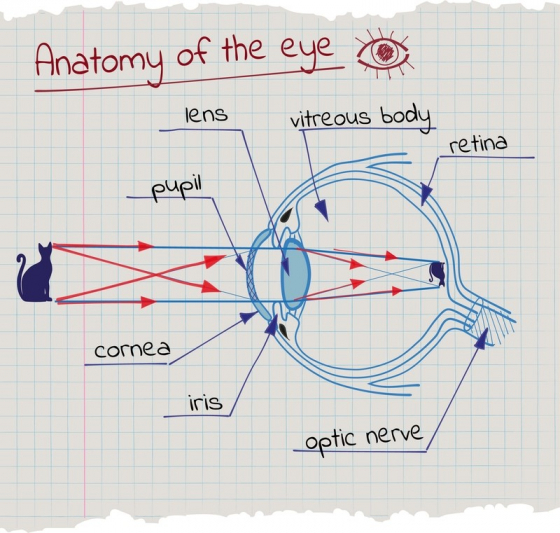 The retina is essential for activities that are close up or are detailed, such as reading. As you age, the macula’s light sensitive cells can begin to gradually degenerate. This means that as AMD develops over the years, there are fewer and fewer light-sensitive cells, this affects how much light is translated into images to the brain, causing a blurred spot in the centre of your vision. Sufferers of dry AMD may need more light when undertaking more detailed activities such as reading or writing to help compensate. Waste products can also start to build up in the retina and form deposits called drusen, which tend to grow in size as the degeneration progresses. It is thought that the tiny new blood vessels that grow under the macula in cases of wet AMD are the body’s attempt to purge drusen deposits from the retina. However, the vessels form in the wrong place, and cause scarring and damage to the macula. Such damage is what distorts vision and leads to blind spot symptoms. While it is uncertain what triggers the processes that leads to AMD, there are a few things that can increase the risk. Family history – if family members develop AMD, it’s thought that the risk of developing it is higher. The exact genetic reason for this has not yet been discovered, but it may be an inherited condition. Smoking – Smokers are four times more likely than non-smokers to develop AMD – particularly heavy and lifelong smokers. Alcohol – Consuming in excess of four units over a long period may increase AMD risk. 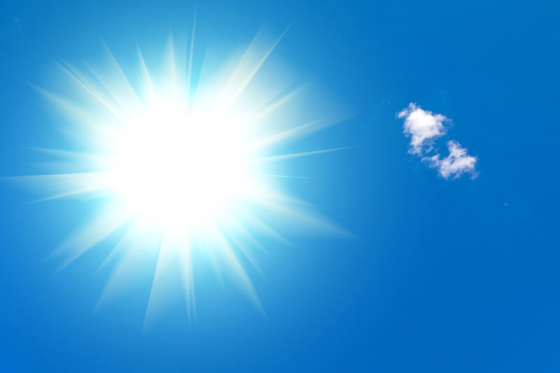 Sunlight - UV light is thought to increase your risk – e.g. if you have been exposed to a lot of sunlight over your lifetime. Obesity – If you have body mass index of greater than 30 you are classified as obese, among the many complications this can lead to is an increased chance of AMD. High Blood Pressure & Heart Disease – A history of heart disease or high blood pressure, some evidence suggests, may increase the risks. 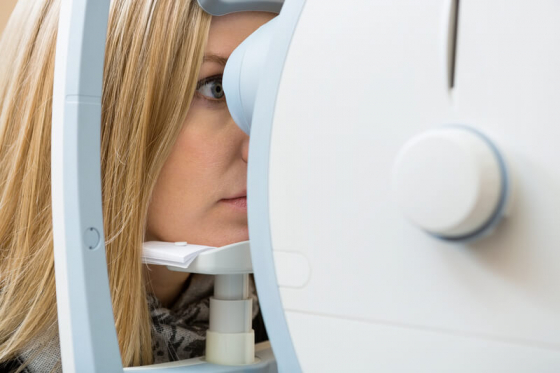 AMD is usually diagnosed when you begin experiencing problems, however early detection can sometimes be picked up during an eye test before any symptoms present themselves. If you start to have blurred central vision or other macular degeneration symptoms, it’s important to book an appointment with your GP or optometrist. If macular degeneration is suspected by the GP or optometrist, the next step is to see an ophthalmologist (specialises in eye condition diagnosis & treatments). You will be referred to a hospital eye department where you will have a range of eye examinations and tests. There may be lots of small collections or a few medium-sized drusen, or there may be minor retina damage. This stage may not yet have any symptoms. 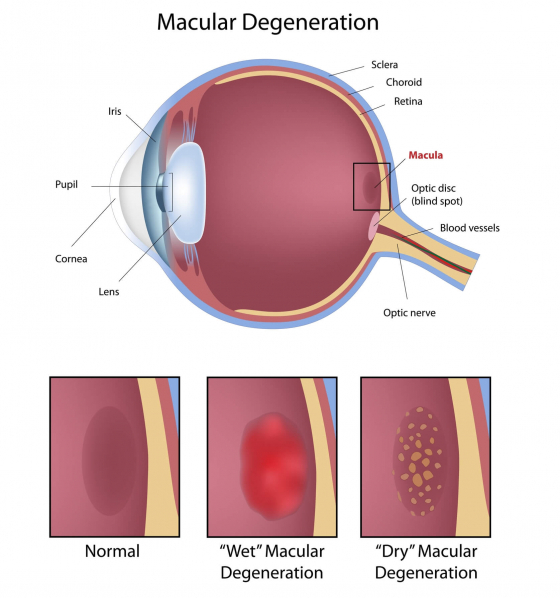 There may be larger drusen, or tissue damage to the outer part of the macula. This stage usually presents the symptom of a central blurry spot in your vision. In this stage, the macula’s centre is damaged. The symptom experienced is usually a large blurry spot in the centre of your sight, making it difficult to read or recognise faces. Wet AMD is usually defined as an advanced stage of AMD. During the eye examination there are a few tests and checks the ophthalmologist will carry out. This include examining your eyes after you’ve been given drops to make your pupils expand - these take roughly 30 minutes to work and wear off in a few hours. Vision can become blurred or you may experience a bit of photophobia during this period. The ophthalmologist will then look at the back of your eyes to check the retina for any abnormalities. Amsler Grid - This is made up of vertical and horizontal lines, displaying a dot in the centre. The lines can appear faded, distorted, or broken when you are affected by macular degeneration. The ophthalmologist can get an idea of how bad the damage is from which lines are distorted or broken, these are usually close to the middle of the grid. Fundus Photography – A special camera captures three-dimensional images of the macula. This shows the different layers of the retina, as well as any damage. Fluorescein Angiography – Fluorescein dye is injected into an arm vein and moves into the retina’s blood vessels to highlight any abnormalities. Detailed photographs are taken of the vessels and the blood flow inside, and if any of the dye leaks from them, it can confirm wet AMD. Indocyanine Green Angiography – This test is carried out the same way as the Fluorescein Angiography but uses a different dye. Indocyanine Green (ICG) dye may reveal other problems than the Fluorescein. Optical Coherence Tomography (OCT) – Using special light rays, an OCT scans the retina to get an image. This test can offer detailed data, such as whether the macula is abnormal, thickened, or whether there is any leaked fluid in the retina. How do you treat AMD? Unfortunately there is no cure for AMD, and because the peripheral (side) vision isn’t affected, glasses cannot correct the blurred central vision. However, there are a few treatments available for each type. Dry AMD treatments aim to help slow the development and provide vision aids to make day-to-day tasks a little bit easier. You may need to make some changes to your home, and a low vision clinic can help give you advice or practical support. Big-button telephone and computer keyboard. Large-print books, or eReaders with adjustable text size. Screen-reading computer software (helps with emails, documents & internet browsing). Two-tone house décor – this can aid with finding your way around and may help make it easier to see the difference between nearby objects i.e. the stairs and the handrail. Diet and nutrition may help slow the progression of dry AMD, and may even reduce the risk of wet AMD, however, evidence for this is limited and it should be discussed with an ophthalmologist whether these can help you. A diet high in vitamins A, C & E are thought to help – these would include foods such as oranges, carrots, tomatoes, kiwis, and leafy green vegetables. 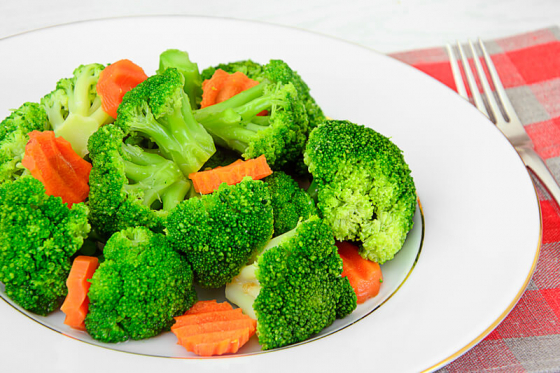 Lutein and zeaxanthin are also considered to help, lutein can be found in leafy greens, peas, sweetcorn, and mangoes. While this treatment has no definitive proof that it will help everyone affected by dry AMD, having highly nutritious diet has many other health benefits. Keeping a healthy & balanced diet (see above on specifics). Moderating alcohol – consuming the recommended units. Achieving or maintaining a healthy weight. Wearing UV glasses when outdoors. Anti-vascular endothelial growth factor (anti-VEGF) medication works by blocking the chemical that causes new blood vessels to grow. By stopping more vessels from forming, the treatment prevents your vision, and wet AMD, from getting worse. Early diagnosis and treatment is essential for reducing the risk of severe vision loss. Anti-VEGF medication is administered by injecting a small needle into the eye. The patient is given local anaesthetic eye drops and the procedure can be done with little discomfort. The medication can sometimes shrink the blood vessels and restore some sight, however, vision won’t be completely restored, and not everyone experiences improvement. This treatment is only undertaken if there is evidence that it will help maintain/improve vision for the patient. The anti-VEGF medication given on the NHS are ranibizumab and aflibercept, and these will only be recommended if you fit certain criteria, such as no permanent damage to the fovea (part of the eye that helps you see sharp detail) or visual acuity is between 6/12 and 6/96. Ranibizumab has been shown by studies to slow visual acuity loss in more than 90% of those affected, and it may increase acuity in roughly a third of people. The injection is administered once a month for three months, and the patient is monitored during a ‘maintenance phase’. In some cases, vision may deteriorate in this phase, which is thought to be caused by a further leaking of fluid - an additional injection may be administered. The monitoring continues and injections given as necessary, with at least a month in-between them. If the condition doesn’t improve or continues to worsen, treatment is stopped. Side effects can include minor bleeding, inflammation or irritation, feeling like there is something in your eye, increased pressure inside the eye. Aflibercept treatment works in the same way as ranibizumab, it is just a newer type of medication, and on average it involves fewer injections and monitoring appointments. An injection is given once a month, lasting three months, and after a year of treatment, intervals between injections may be longer depending on its success. Side effects are similar to ranibizumab. Photodynamic Therapy injects verteporfin (a light-sensitive medicine) into a vein in your arm, it moves up to the macula, and attaches to the abnormal vessels. A low-powered laser shines light over an area slightly bigger than the affected section. The verteporfin absorbs the light and it activates, destroying the abnormal vessels (preventing them from leaking blood or fluid), and reduces damage to other tissues. This treatment may be required every few months to manage any new blood vessels. If your visual acuity is 6/60 or better, you may be eligible for the procedure. Laser Photocoagulation is only suitable for roughly one in seven people as the surgery requires that the abnormal blood vessels are not close to the fovea. 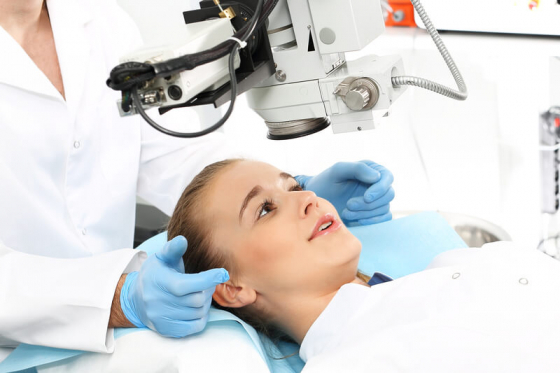 Procedures performed near this section can cause permanent vision loss. Under a local anaesthetic, a laser burns sections of the retina, these harden and prevent the blood vessels from moving into the macula. A side effect may include your field of vision developing a permanent black or grey ‘patch’. This patch is often less severe than if you get no treatment for wet AMD, but this is not always the case. Laser Photocoagulation can be less effective than the other types of treatment, and may only be recommended when anti-VEGF injections or PDT cannot be used. There are two new techniques to help treat wet AMD, and while these can sometimes get better results than laser surgery, there is a higher risk of serious complications. They may only be available via a clinical trial as safety and effectiveness in the long term is still uncertain. The macula is moved to a healthier section of the eye (unaffected by abnormal blood vessels). The eye’s lens is removed and an artificial lens designed to improve central vision is put in.